Inside a small, concrete cell in Thailand, Hakeem AlAraibi finds himself surrounded by killers and “violent” offenders. It’s a far cry from the soccer fields of Melbourne he’s accustomed to. “I’m trying to be brave,” he told the ABC. 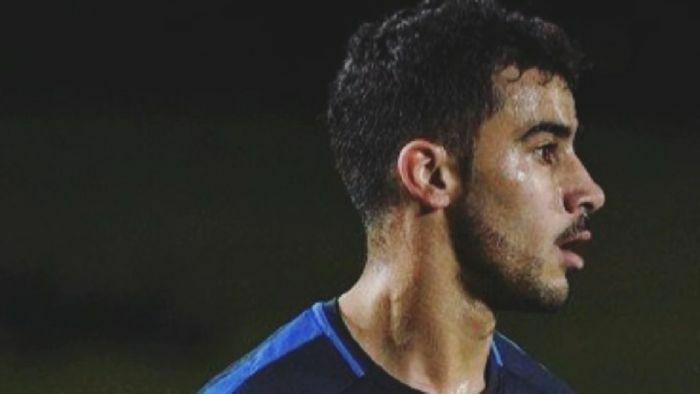 The Melbourne-based refugee and elite soccer player was detained last year when he stepped off a plane in Bangkok for a holiday with his wife, on the request of Bahrain, which has convicted him in absentee of vandalising a police station. “Some of them are in here for killing people. Violent things,” he said sadly. “We sleep in a tiny space, you can’t even roll over it’s so small. And so hot. As his time inside mounts, the 25-year-old is asking Foreign Minister Marise Payne, who is currently in Thailand, to intervene. “I ask the Australian Government, please don’t forget me,” he said. Australian embassy officials in Bangkok have been visiting him once a week, Mr AlAraibi said, and ahead of her prearranged visit to Thailand, Ms Payne vowed to advocate for his safe return. “He didn’t look very good even though he’s positive … he just wants to come back to Australia,” Gonzalo Abascal, his Pascoe Vale teammate, who spoke to the 25-year-old from prison, said. “He told me he is not having a very nice time in there, but he can wait, he can be strong. Human rights groups today held a demonstration in front of the Sydney Opera House, calling for his release. Mr Foster said AFC president Sheikh Salman bin Ebrahim al-Khalifa, himself a Bahrain national, was “known to Hakeem” and had conflict with the player in the past. “Sheikh Salman is obligated to support Hakeem,” he told the gathering. “He is obligated to do everything in his power to advocate, both privately and publicly, and to use the immense leverage football has with the Bahrain Government … also with the Thai Government to release Hakeem. Human rights advocates hope Mr AlAraibi’s cause will be aided by the increased scrutiny on Thailand due to the ongoing case of Saudi teenager Rahaf Alqunun. “The world’s attention really made the difference in Rahaf’s case,” Elaine Pearson from Human Rights Watch said.